Well the weather here recently has been classic Isle of Mull – very changeable with heavy showers and sunny spells. July often seems to be monsoon month here but often the wildlife appreciates the downpours as they create short spurts of activity. Insects launch themselves into the skies when the rain clears and the swallows, house martins, pied wagtails and more all follow to cache in on the bounty. It also designs some impressive landscapes with rushes of water tumbling down the hills and over our many cliffs, quickly reaching the lochs. We all crave those perfect days with clear blue skies and sunshine, but I find that our dramatic weather can remind you where you actually are, matching our mountains and rugged coastline. We should learn to appreciate it that little bit more. Last Thursday I ran a guided walk and sea-watching session from Calgary Bay round to Caliach Point. It was a great trip despite it being extremely windy; the sea was pretty choppy making it hard to spot any marine mammals. We had a lovely walk though, focussing a lot on our wildflowers. We were joined by a pair of kestrels whilst they used the wind to look for prey linking back to their very apt name; the Windhover. Great to see this little raptor, we don’t have huge numbers here on Mull and they are declining fairly rapidly across the UK. Lots of ravens and hooded crows about and we had some good sightings of gannets, Manx shearwaters and kittiwakes over the sea. This area is usually a nesting site for fulmars, but not one was seen. I did hear of two American mink spotted there the same week though. Friday morning was a wash out but thankfully we weren’t running a trip, any sensible eagle would have been sat patiently waiting out the weather. But we persevered for the afternoon session, and four hardy visitors joined me with their fingers crossed it would clear as forecast. And it did! We had a great afternoon with both adults about the area giving us some fantastic sights through the scope. We even had Iona and Fingal perched side by side companionably, we don’t see that very often. Another visitor we’re seeing a good deal at the minute is the wee sparrowhawk, a brilliant raptor. We had a close encounter as the male shot by the shelter, making a dizzying turn when he realised we were all engrossed, he then flew up above the hide to alight on a tree branch for a second, maybe recouping his nerves before powering off again. It’s always a privilege to have a visit from these birds of prey. Our chick will be nine weeks old later in the week and coming up to an important time. Fledging probably won’t take place until week twelve but, prior to that nerve wracking moment, the chick will begin to exercise, pumping those wings to develop the all important flight muscles. We’ll see the chick ‘branch-out’ too, exploring of the nest area and close braches will give the chick some experience in moving about and managing that huge 8ft wingspan. This is all rather edge of your seat, it’s very easy for this to go wrong when you’re pretty high up in a tree and still learning so we’ll be keeping a close eye on our youngster over the next few weeks. Later in the season we’ll have a local primary school group come up with a name for the eagle hide chick to go with Orion, our chick from last year. This is another brilliant way to get local youngsters enthused about the eagles and our wildlife. Don’t forget though we’ll be giving you the chance to name Sula and Cuin’s chick – the webcam star. This week we’ll be at the hide enjoying our eagles, and there are plenty of spaces left for our trips. They run daily, Mon-Fri at 10am or 1pm. Easy access to our hide with binoculars and telescopes is provided. We’ll tell you all you need to know about white-tailed eagles and any other wildlife we might encounter. Lots to see and do and we’re great for children too! Call 01680 812556 to enquire or book in. Also, Thursday this week join me to hunt for some otters on the shores of Loch Na Keal. It’s another event that’s great for all, everyone welcome. We’ll spend some time looking for otters, learning about them and we’ll also seek out some tracks and signs along the coast. For some more info call 07540 792650. 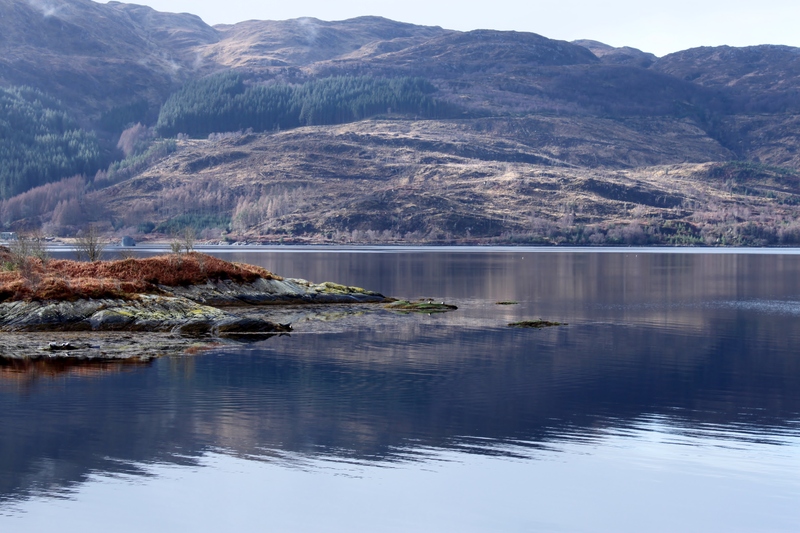 Not too far from our lovely isle, you can visit Loch Sunart – an absolutely breathtaking sea loch and the Forestry Commission Scotland’s wildlife hide. Loch Sunart stretches for around 20 miles, bordered by stunning scenery of Morvern and Ardnamurchan, it is a brilliant place for wildlife and has recently been proposed for a Marine Protected Area for its important marine environment and the impact it has on the wider seas nearby. The FCS wildlife viewing hide is superb and having spent some time there in February this year I can highly recommend it. The hide fits in perfectly with the surrounding environment, made from all natural materials. 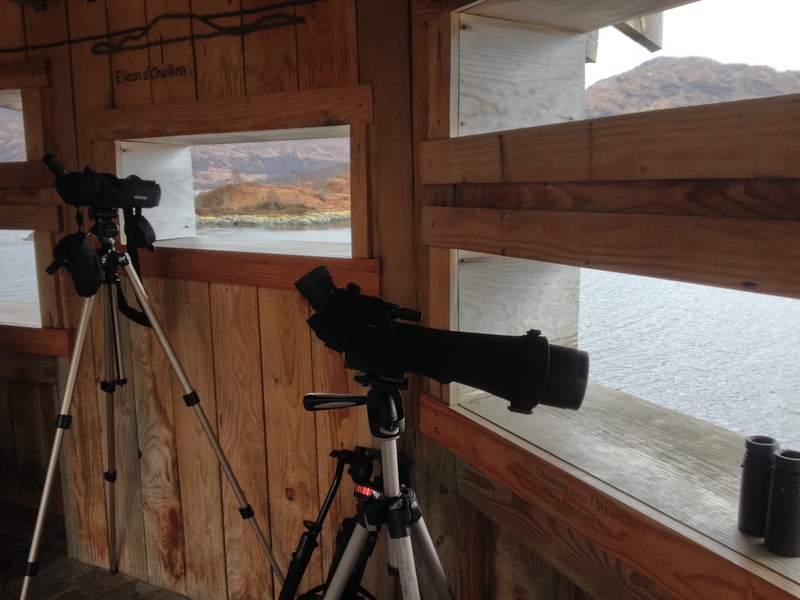 With the comfort and protection from the often harsh weather the hide offers you can happily enjoy species like otter, white-tailed eagle, common seals, red-breasted merganser, divers, the local heronry and more. Well worth a visit and great for all; binoculars provided and you’ll also have the added benefit of a ranger’s knowledge if you pop by on a Monday! As always, a great read, even if it makes us pine away to be there! Thank you for your excellent work on Mull and allowing us to share in the rewards.